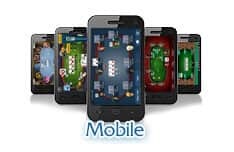 iPhone poker play is skyrocketing in popularity, so the best sites are able to offer you an experience that can match desktop US poker play toe-to-toe. For April 2019, our top-rated iPhone poker site is Governor of Poker 3. But, it certainly doesn’t stand alone, so start playing great online poker at these recommended iPhone poker sites today. Even if you’ve never used your iPhone, iPad, or iPod for playing online poker, it’s incredibly simple to sign up with a poker room and start playing. Whether you’re using apps designed specifically for your iOS device or a mobile site , nothing beats hitting Texas Hold'em cash tables on the go, say, on the train to work in the morning! Take a seat at a table and start playing a few hands! It really is that easy to give poker on your iPhone a try, and you can always try out a few free play games if you’re not quite ready to play for cash yet. When reviewing sites and apps, we take all sorts of different factors into account before we decide whether or not to recommend it to our readers. Apps have to go through a rigorous testing process to get into the App Store but, even so, we again take a close look at the certifications and security measures (e.g. SSL encryption) employed by poker sites and their developers. If we have concerns about an app or mobile site’s legitimacy, we won’t recommend them to our readers. When you win cash playing poker on your iPhone you deserve to be able to cash out and spend those winnings whenever you choose. If poker rooms have a reputation for making it difficult or impossible to withdraw your winnings in a reasonable timeframe then we’ll suggest you look elsewhere. It’s a quirk of gambling online that some payment methods aren’t available in certain parts of the world, but that’s no excuse for an app or mobile site not to offer a range of different, regulated and safe ways to make real money deposits and withdrawals. 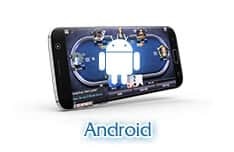 The software employed by poker rooms has a huge impact on the experience of their users, whether it takes the form of a mobile site or a dedicated real money poker app. iPhone gamblers have plenty of options and there’s no need to settle for something inadequate. If you play poker, even when using the best iPhone apps, for long enough then you’re bound to run into a small issue or two. That needn’t be the end of the world, as long as the customer support team works quickly and efficiently to resolve issues and make things right. If a poker room doesn’t measure up then we won’t recommend it and, if we’re particularly concerned about something it does, may even blacklist it. Modern iPhone devices offer larger screens that are ideal for fast games of poker on the move. But what if your chosen site doesn't have a dedicated app with full, enriched graphics and every game imaginable? Don’t worry! While there isn’t a huge difference, players will generally find more games on a laptop or desktop than they will via iPhone apps or mobile sites. However, the sheer mobility and accessibility of iPhone poker play can’t be ignored, making it perfect for any player that demands flexibility. There are plenty of amazing poker rooms out there, but the best poker apps change regularly thanks to the influx of bonuses and gameplay tweaks made by software producers. You’ll never go too far wrong if you stick with our list of top apps and mobile sites, which we update constantly. Simply make sure you know how to play poker on iPhone, choose one of the apps recommended above and get ready to hit the tables! Which poker sites are the best for iPhone users? That's completely subjective and always changing. While what everyone looks for in an online poker app is completely different, there a few that are head and shoulders above the competition. We've reviewed and compiled what we think are the best iPhone apps and sites for poker play, so feel free to check out our list of recommended iPhone poker apps above. How do iPhone poker sites work? Well, like any other poker platform really, as iPhone poker sites do all that they can to match the true-to-life poker experience. With an iPhone in hand, you’ll have a choice of either downloading an accessible app or simply visiting the site through a mobile web browser. From there, when you take to the tables, you should expect it to mimic the usual poker experience. Which poker apps pay real money? For the most part, anything you can do on a desktop poker site you'll be able to do on your iPhone, especially if it's a dedicated app. This means that you’re dealing with the majority instead of the minority when it comes to poker apps that pay out real money. Plus, if you’re in any doubt, just stick by the apps we’ve recommended above, as they deliver cash play that you can count on. After finding a real money poker app, if you have money in your account, regardless of if you deposited via your PC or iPhone, just log in and start playing for real money like you normally would. Are iPhone poker apps better than poker websites? Many of the top online poker sites for iPhone will have their own apps, however, most will let you play right there in your phone's browser. Neither one is better per se, with each option offering its own set of unique advantages and disadvantages. Check out our reviews or go to the site of your favorite online poker room to see if they offer an app and/or in-browser smartphone play. As long as everything’s above board, which it will be if it’s a site that we’ve recommended, which you use doesn’t matter too much in the long run. Can I play poker on my iPhone for free? There is a ton – and we really do mean a ton – of free, social media-driven poker apps out there. So, if you want free play in that sense, you won’t have trouble finding a place to start picking up hands. Finding free play with real money prizes is a bit of different story. 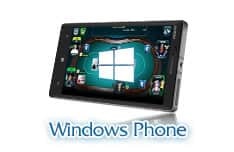 You’ll be able to find iPhone poker apps that offer freeroll games, but they won’t be as common a find as they are when you choose to play via desktop. Do I need to be connected to the internet to play? If your intention is to play mobile poker for real money the answer is yes, as you'd be unable to play against other live players otherwise. Many apps do offer free play functions, where you play without real cash, which may be available offline on your iPhone. Are you unsure of gambling on a particular poker site on your iPhone? Thanks to our expert review team, you avoid the risk of having a bad experience as we've gone through the best and worst for you. After careful vetting, we suggest to stay clear of the following sites when wanting to play real money poker games on your iPhone.